The Emerson Street, Ridge Avenue and Green Bay Road intersection will be improved through the Emerson-Ridge-Green Bay Improvements Project. Options for the project were discussed at a city meeting Wednesday. 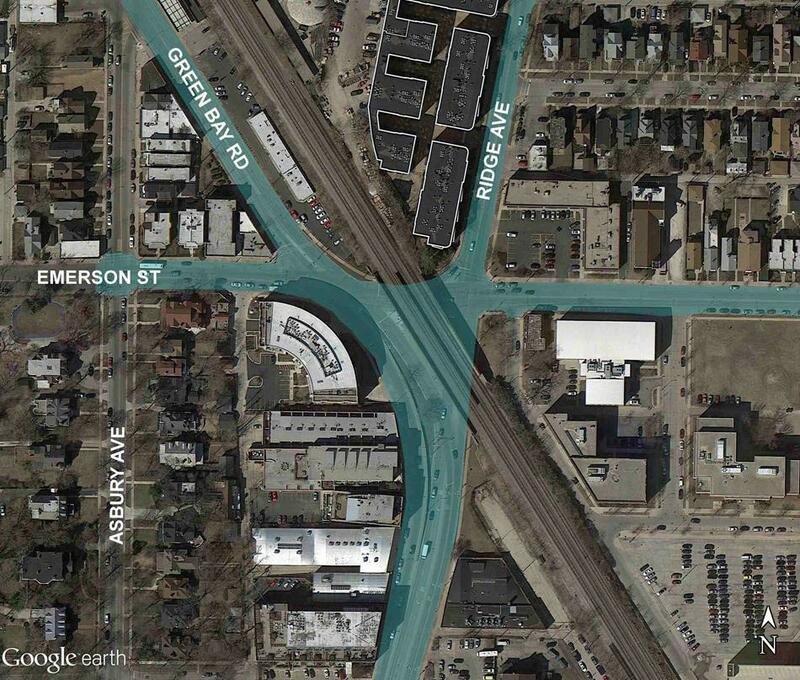 A new landscape project aims to transform a busy intersection in Evanston, with plans underway to improve the landscape along the Green Bay Road corridor from Emerson Street to McCormick Boulevard. Evanston officials presented several landscape improvement options and received comments from an audience of about 40 people Wednesday evening during a public meeting at the Hilton Garden Inn, 1818 Maple Ave. The first phase of the Emerson-Ridge-Green Bay Improvements Project, which began December 2013, involved data collection, preliminary designs and public meetings, including Wednesday’s meeting. Construction on the intersection will begin in 2016, said Sat Nagar, Evanston’s senior engineer. Residents gave feedback via a survey on three options for the renovation of the intersection over a course of several months. The most popular option based on the results is the creation of a three-lane cross section at the Green Bay-Emerson intersection. The second most popular option is to make a one-way northbound lane on Green Bay Road. The least popular option was creating a cul-de-sac at Emerson Street, but this option was eliminated. “It was unpopular and it was the least attractive from a traffic engineering perspective,” Suzette Robinson, the city’s public works director, told The Daily. Residents at the meeting expressed concern over turn signals at the intersection and whether businesses have been notified of intersection changes. Officials explained that the turn signal technology should improve with the intersection changes. Viaducts will be improved with landscape improvements, city officials said. The bridge near the busy intersection, along with the intersections along the Green Bay Road corridor from Emerson Street to McCormick Boulevard, will be improved with numerous changes, including LED lighting and new plaza spaces. Ryan Kettelkamp of Kettelkamp & Kettelkamp Landscape Architecture explained plans to add a monument sign at McCormick Boulevard and Green Bay Road, which would welcome people to Evanston. The sign would also advertise city events for pedestrians and drivers passing by, Kettelkamp said. Renee Paden, an Evanston resident, said she often sees traffic accidents at the intersection. Robinson said she would present data and community input at the City Council meeting Feb. 23.